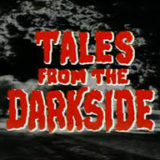 Tales from the Darkside is a 1980s American anthology horror TV series created by George A. Romero. Each episode, originally aired late at night, was an individual short story that often ended with some kind of plot twist. The series’ episodes spanned the genres of horror, science fiction, and fantasy, and some episodes featured elements of black comedy or more lighthearted themes. Some episodes of the series were written by or adapted from the works of famous authors such as Stephen King, Frederik Pohl, Harlan Ellison and Clive Barker. Seasons of Belief – On Christmas Eve, to relieve their boredom, a father tells his two sons the story about a fearsome beast known as the Grither. 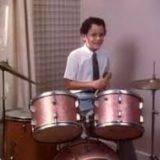 Barter – Harried housewife Ruthie receives a visit from bizarre salesman Klaatzu, whose mechanical device may help her shut out the sound of her son Nicky’s constant drum-playing in a way that Ruthie never imagined.